Why should you consider taking a guided hunt? Regardless of your hunting level– whether you’re a newbie or a long-time expert– there’s nothing else quite like the camaraderie and fellowship you experience on a guided hunt. It’s good to be with others who know the land well, and know where to find the hunt you’re looking for… plus, they can take the photos of you and your kill, so you’ll have something to show off to friends and family later on. They can also vouch for you and verify any tales you end up telling to people after the hunt! Hunters and guides share a fun hunting experience– there are times when they laugh together as well as times when they get serious– it’s quality time spent together while out on the land. With guided hunts, trophy quality and success is more likely than on do-it-yourself hunts. You can ask your guide what to expect, and plan accordingly beforehand. For instance, the guide should be able to tell you what you’d expect to see during your hunt. They’ve already scouted the land and know the best spots to go to find the prime you’re specifically looking to shoot. Finally, a guided hunt helps take care of all the details associated with hunting, considering things like licenses, tags, equipment, transportation, etc. 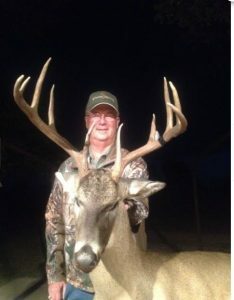 Schmidt Double T Ranches in Mason, Texas, offers guided quail hunts, whitetail deer hunts, and turkey hunts. Call 325-347-2613 for more information. They’ll be happy to help you plan a hunt of a lifetime.